Kendoku Puzzle is known with many different names. Other names for a Kendoku puzzles are Mathdoku or Calcudoku. 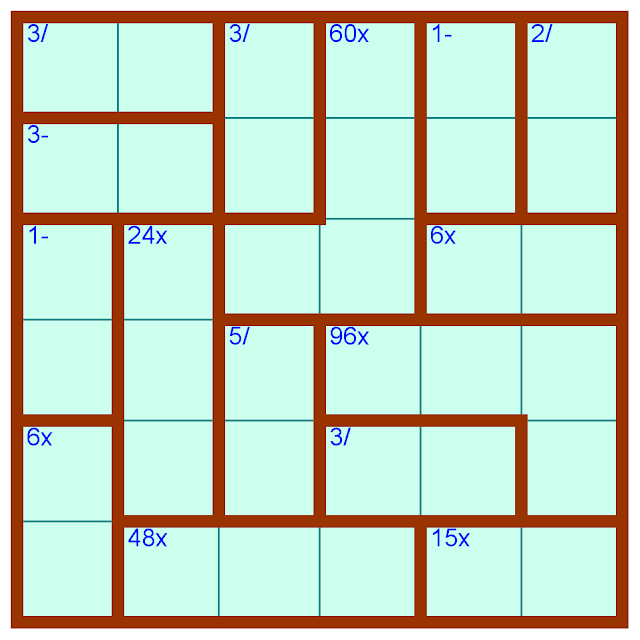 Kendoku puzzle is similar to Sudoku puzzles. However in these puzzles one has to do mathematical calculations to solve these puzzles. 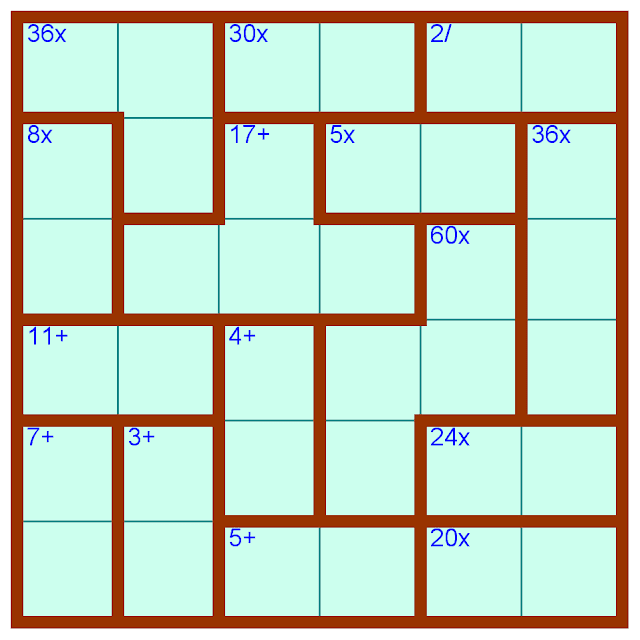 Here are couple of puzzles which are generated with tool provided by Magnum Opus. Fill the whole grid with the numbers from 1 to N, where N is size of the grid. No number can repeat in any column or row. The grid is divided into small blocks. Number at the corner of each block gives the number and a mathematical operations. The number given can be obtained by applying the given mathematical operation on the numbers in that particular block. Note that numbers can repeat in a block.